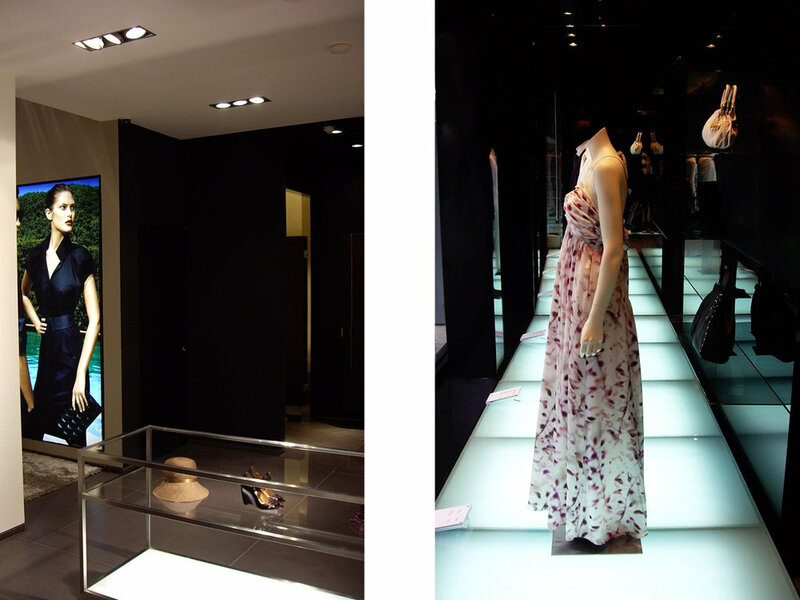 The Hugo Boss flagship store in Barcelona is situated on emblematic Paseo de Gracia, set within the building designed by Toyo Ito. 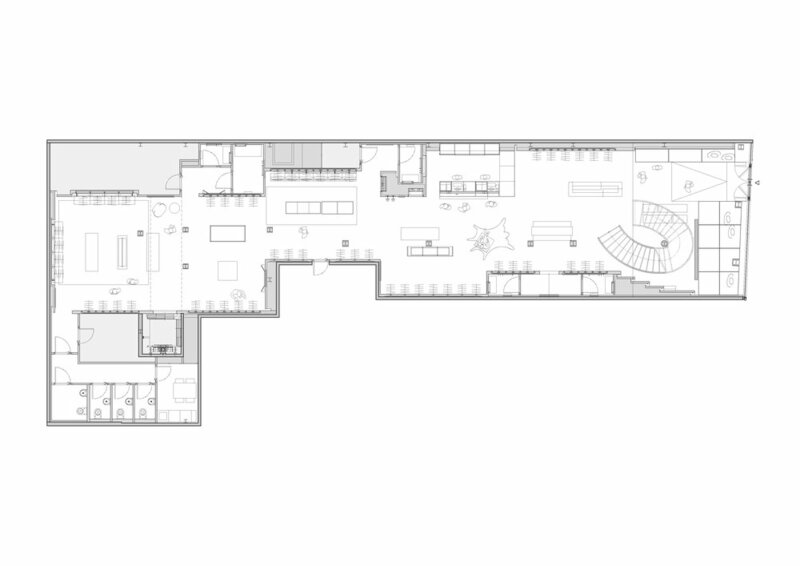 The project has been designed by appointed architects Blocher and Blocher from Stuttgart, Germany. Together with the architects and the brand´s in-house team we designed and developed the project to meet all local building regulations, and took care of the on site management. With an external team of engineers we developed technical solutions to meet the company´s strict standards regarding ventilation, lighting, and fire prevention. 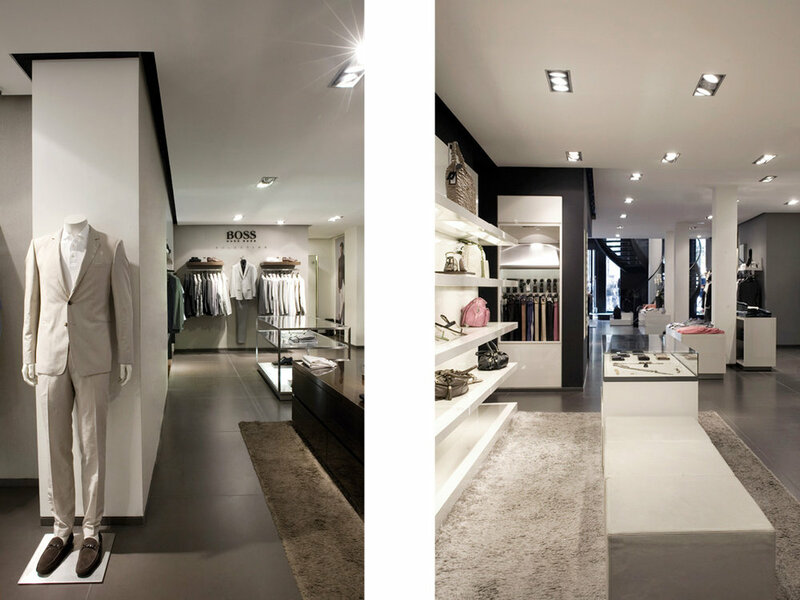 Due to height limitations the greatest challenge was to house all technical elements at the hour of designing the ceilings, in order to maintain the clean and minimal appearance of the store design.